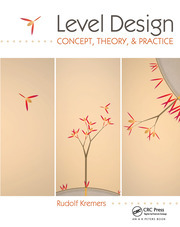 The book provides a contemporary foundation in designing social impact games. It is structured in 3 parts: understanding, application, and implementation. 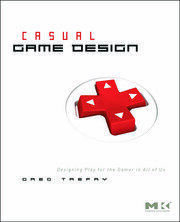 The book serves as a guide to designing social impact games, particularly focused on the needs of, media professionals, indie game designers and college students. 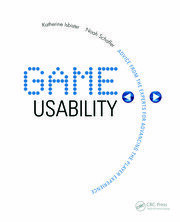 It serves as a guide for people looking to create social impact play, informed by heuristics in game design. 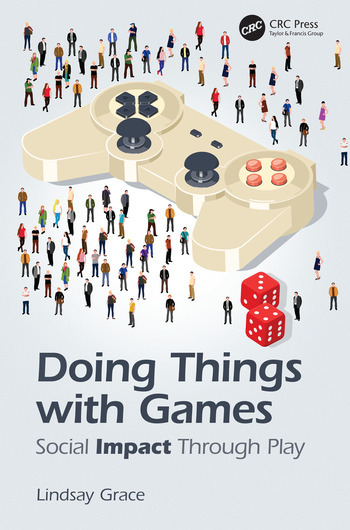 Lindsay Grace is a video game designer, artist, and professor who currently lives in Washington, D.C. he is best known as an academic game designer who employs critical design. Recently he has been the director of a news game initiative called,  JOLT at American University, which includes the Fake News game, Factitiousand the NPR game Commuter Challenge. In 2013 his game, Wait was inducted in the Games for Change Hall of Fame as one of the five most significant games for change in the last decade. Created in 2009, players must navigate a 3D world that fades away when the player moves, and grows more detailed as they wait. If players fail to move for long, the world also recedes. Other notable games include Big Huggin', a game controlled by a giant stuffed animal that players must hug to meet game goals. Big Huggin' was Kickstarted with notable support from Jane McGonigal and selected for the ACM Siggraph's Aesthetics of Gameplay Show.Grace has created more than 15 independent games, acting as the sole designer, developer, and artist. He has written articles about this process and supports such activity as one of 8 executive board members organizing the Global Game Jam. He also exhibits art internationally and curates exhibits. He co-curated the Indie Arcade 2014 and 2016 events  at the Smithsonian American Art Museum.Lindsay Grace has publicly opposed  the link between video games and violence.